At AmericanFlags.com, we believe that your flag is your heart unfurled and that every home and business should be adorned with an American flag. We offer a wide selection of handsome, durable, and easy-to-assemble American-made flag sets. We offer flag sets with metal flagpoles, wood flagpoles, spinning flagpoles (to prevent flag wrapping) and even flagpole kits with solar lighting. Looking for a complete American flag set for your home or as a gift? AmericanFlags.com carries American flag sets for every taste and every budget. 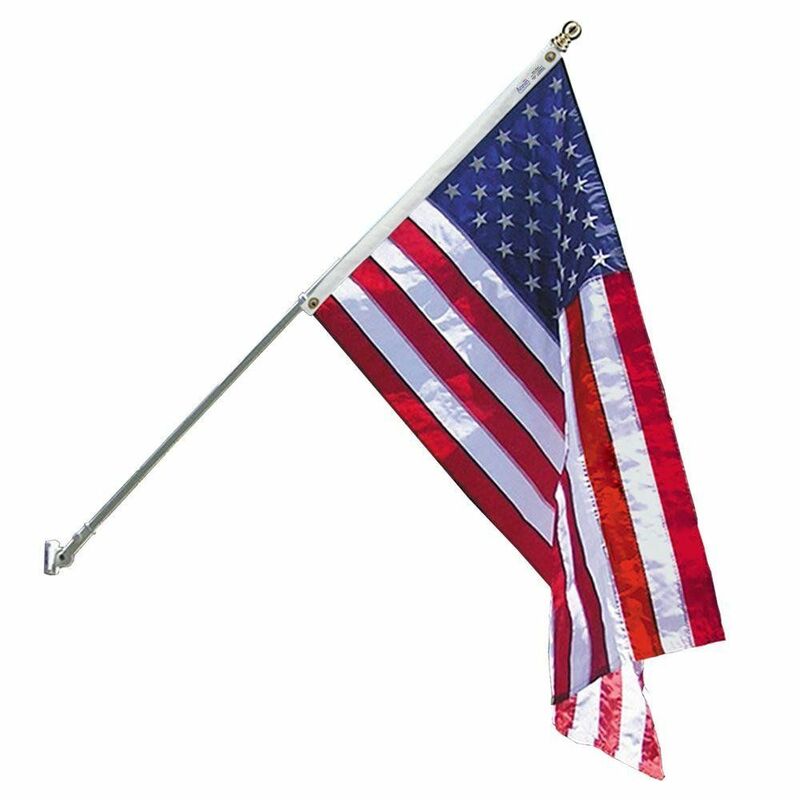 Our flag sets feature top-quality American flags, beautiful flagpoles and durable hardware. Several of our outdoor US flag sets come gift-boxed for gift giving and make great keepsakes for new homeowners, birthdays, Father's Day, Veteran's Day and more! We offer only top quality US flag sets that are proudly Made in America. All are in-stock and ready to ship!